Pesach is upon us… by now you have it all down to a good routine–which rooms get cleaned first, who is in charge of what, and when to kasher the kitchen. There’s the grocery shopping, butcher order, and the fresh produce. How many guests are coming to the Seder(s) this year? How many for the last days? 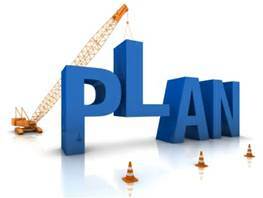 What are the Chol HaMoed plans? But this year, let’s add something to our Pesach plans—let’s have great happiness throughout the holiday while including our health in the whole equation. After all, if we want the happiness and enjoyment from Pesach to carry over into the rest of the year, than we shouldn’t do things to damage our health. If we take care of our health, then our enjoyment of life will be greatly enhanced. Although I am not sure what the reason is, there is a tendency to get carried away at this time over by purchasing excess food and consuming excess calories. The lead up to Pesach is several weeks long and it is a time when regular, normal eating can be difficult. But we need to be realistic in order to succeed. This is not a time to try to be perfect. It is a time when staying in control and being aware can make a big difference in how much weight we might gain and more importantly, in our overall health. By putting a few tips and ideas into practice we can really make a big difference in our post-Pesach outcome. There is no one best way for everyone to navigate weight control over Pesach. 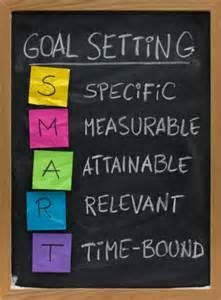 Goals are important and you should decide how you want to approach your after Pesach weight. Are you currently losing and would like that to continue? Maybe you just want to hold steady over Pesach and continue your weight loss afterwards. 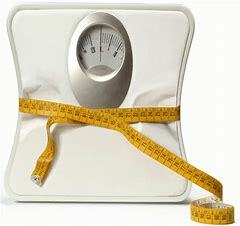 Perhaps you want to plan a 1-1.5 kilo gain, knowing that after Pesach you will be back to your good eating and exercise habits and the weight will come off in a week or two. A plan should be in place! Here are some examples of some of my clients who succeeded with their Pesach goals. Larry was now spending his 11th year at a Pesach hotel. For him, the planning only involved Pesach itself. I encouraged him to do a full workout before he left town for the hotel, which he did. We created strategies for dealing with buffets in terms of which choices to take, what size portions to take, and how NOT to keep going back to the buffet for more. The hotel had nice grounds for walks, a pool, and a workout room. We planned how to use those also. Last year, Larry only gained 1.5 kilo over Pesach and felt very good about his accomplishment. He felt especially pleased that a week after Pesach was over, his weight was exactly where it was before Pesach without any extra effort—he was simply back on his regular food and exercise program. Rhoda had an amazing result over Pesach—SHE LOST 2 POUNDS! She was nervous about gaining and actually became over-focused on her eating. She took all of my advice about staying as active as possible, even though it was truly impossible to do her regular routine. But something is always a lot better than nothing, and she got an amazing result. Leah did what she does every year. As mindful as she is about her good eating, she was as mindful about her treating herself. She made sure to thoroughly enjoy her normally-forbidden foods eating them slowly and savoring each bite, and was mindful to have a little more than she is used to having without going crazy. When you are as disciplined as Leah all the time, you can get away with a small planned weight gain whether it be Pesach or just on any vacation. Moshe made sure to check in with me via email every few days during the time leading up to Pesach right until after the holiday. Although he was out of his routine, we kept his excesses under control. Moshe did gain a little bit which made him unhappy, as he had lost continually for 10 months. However, unlike the previous year, where he put on 6.5 kilo during the month of Pesach, he had enough control to only gain 3 kilo this time around. Erev Pesach can be more challenging than Pesach itself. It’s a difficult time simply because we are now at a point where the amount of chametz in the house is limited and getting less daily. We aren’t yet really all kosher for Pesach, so preparing balanced and nutritious meals becomes problematic. Here is where a lot of the trouble starts. Many of us begin eating take-out food daily. This certainly has its problems in terms of fat, overall calorie consumption, and the nutritional makeup of the meals we are eating. In addition, with the many tasks to be done in terms of cleaning and shopping time becomes an issue. Exercise can easily fall by the wayside. This is a time where we truly need to be creative. If you can, set up a small area where you are still eating chametz. Even though you can’t cook, make the best of the situation. Use whole grain crackers or bread for sandwiches. Keep plenty of fruit and vegetables in the house (no chametz problem there). Drink plenty of water. Decide ahead of time exactly when the pizza, falafel, and burgers are happening and keep it to an absolute minimum. As far as exercising and activity goes—you may not be able to keep to your regular routine, but the most important thing to remember is that it isn’t all or nothing. Whatever opportunity presents itself, take advantage of it. A 10 minute walk here and 15 minutes there all adds up. It only takes about 90 seconds to do some pushups and 2 minutes to get through an ab routine. That isn’t a lot of time—don’t be fooled by the perception that you have no time at all.